Environmental Engineering News > News > Information and Communication Technology > Instrumentation and Components (sensors, accelerometers etc.) > When are custom sensors the right option? Sam Drury, Sales & Marketing Director at Impress Sensors & Systems explains why some engineers prefer custom pressure sensors over standard, off-the-shelf versions. A standard, off-the-shelf pressure sensor refers to one whose specification or build standard remains unchanged. The term ‘custom’ or ‘customised’ refers to a pressure sensor that is based on a standard product but whose software or hardware has been modified so that it meets a specific customer’s requirements. 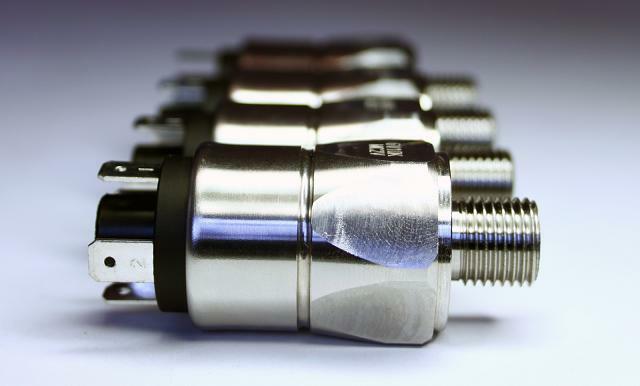 For example, a customised pressure sensor might be a standard unit but fitted with a special subsea connector, high temperature electronics, a modified housing or a specific communications interface. But with such a huge selection available, no shortage of sensor suppliers and Internet search engines that provide a fast, easy method of comparing performance, price and availability, why would an engineer choose anything other than a standard ‘off-the shelf’ pressure sensor? The most obvious reason to choose a custom pressure sensor is that there is not a standard ‘off-the-shelf’ sensor that meets all of the customer’s requirements. In addition, contrary to popular belief, custom sensors are not necessarily just for unusual one-offs or small batches. They are often the most appropriate choice for higher volume, mainstream applications up to 10,000 pieces. Quite simply, not every pressure sensing challenge can be solved with a standard sensor. If a customer’s pressure sensing application requires some kind of modification, it can often be more cost effective to outsource this to a third-party pressure sensor supplier with the necessary skills, experience and in-house engineering design services. Working from original or customer-supplied drawings, a reputable supplier can often incorporate advanced engineering techniques and field-proven mechanical design best practices to create a robust, cost-optimised product that is fully in-house tested. In these cases, a carefully designed custom (or fully bespoke) engineered pressure sensor may be the most suitable option. Even if you think you or your end user customer’s application is unique, if you contact a reputable sensor supplier, there’s every chance their engineers have seen a similar application before. Even if you’re lucky enough to find a standard sensor that fits a demanding specification, it is likely that such a sensor will have a mechanical form, electrical interface and function that has been designed for a group of applications rather than your specific one. This means you’ll be paying for hardware and functions that you may not require. You may also need to modify the design of your host equipment to accommodate a standard unit. This means your overall unit costs may actually increase by purchasing standard off-the-shelf sensors rather than custom versions. Transmitter with subsea series electrical connection – This product was designed to operate in applications where the external pressure applied on the housing and electrical connection could reach as high as 400 bar. Utilising a subsea series electrical connection and by hydrostatically testing the product to ensure it met these requirements, a suitable custom pressure sensor was developed. Concrete slurry pumping – This stainless steel pressure sensor was designed to measure 12 bar of concrete slurry being pumped along a delivery line. In this application, there is a possibility that blockages can occur and pressures can reach as high as 200 bar. Therefore, the pressure sensor was custom designed to withstand this level of pressure without rupturing. Designed with an ANSI 1500 flange and secondary containment, the sensor design ensures a rugged failsafe solution. The are rated to IP67 to withstand the concrete piling conditions on site. The sensor is a unique, flush-mounted design with a special polyurethane protective cover on the diaphragm, which acts as an effective mechanical filter, to ensure that the aggregates in the concrete do not destroy the sensor element. Offshore Remotely Operated Vehicle (ROV) – For this application, a highly accurate pressure sensor was custom engineered for an OEM manufacturer of ROV equipment used for geological surveys. The size constraints, accuracy and cost issues were all solved with an innovative design, whilst maintaining a very competitive price in an increasingly competitive market. Pump control in building management – A pressure transducer was developed that addressed the difficulties of pressure measurement in maintaining the water pressure in large commercial buildings from a pump control system. A very wide operating voltage range, a small zero offset specification and a need for all wetted parts to be WRAS-approved and compatible with chlorine were met by the custom pressure transducer. Leak control/data logging in the utility industry – The water industry is under constant pressure to reduce leaks in the water distribution system. A common method is to control the mains pressure by utilising data from portable battery-operated pressure loggers. Impress was tasked with designing a low power pressure transducer with an integral ‘quick-release’ fitting and static errors of better than 0.1%. Low cost PCB-mountable pressure sensor – Electronic tyre pump control machines in petrol stations is a growing market. Impress Sensors designed a PCB-mountable device that accurately controls the pressure set by the user to stop the flow of air once the desired tyre pressure has been met. This device meets the most stringent requirements in terms of being very low cost but accurate. Impress is an ISO 9001 accredited company, with more than 25 years’ experience in instrumentation design and manufacturing for a diverse range of applications. In addition to its standard range of pressure, level, distance and temperature instrumentation products, Impress offers a customised design service for customers that require non-standard instruments. These services are provided by a dedicated team of highly qualified professional engineers with experience of electronics, software, mechanical engineering and instrument design. 65% of all instrumentation products sold by Impress Sensors are custom designed.